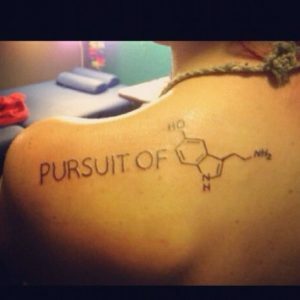 Home / What chemicals are in your tattoo? Everybody in this world likes to experiment with their appearance and wants to stand out from the crowd. People used to express themselves in many ways. One of the most popular ways of expressing your personality is making different tattoos on your body. Some people like it and do a lot of tattoos, they can even cover the whole body with them. At the same time there are people who are against making tattoos because, as they say, it can be very harmful for people’s health. Can it be true? Definitely! People usually do that to stand out or to express something they want others to notice. But they don’t really think about the consequences tattoos can have. So let’s find out what is tattoo. A tattoo is a process of inserting inks, dyes and different pigments into the upper layer of the skin which changes the pigment. So how do you think, will these elements harm your skin? Of course. Many people can even be allergic to some of the pigments and elements. Or they can cause an infection or different inflammations. Now we are going to find out what chemicals are in tattoo and what are the most harmful for people’s health. Many scientists came to the conclusion that the most harmful chemicals in your tattoo are phthalates and also benzopyrene. Phthalates are esters of phtalic acid and inserting it in human body can cause some deseases connected with skin. Black inks are considered to be the most common and popular among the people. They completely consist of soot that contains hydrocarbons. There is also a thought that black ink can be made from burned animal bones. That sounds terrible isn’t it? Maybe if people knew what elements can be found in tattoos, many of them would not have the desire to cover their body with them anymore. According to the colored inks, different colors can have different elements in it. For example, the brown pigment consists of ochre, it is a mixture of iron oxides with clay. While heating this mixture changes to brown color. As for green, there are such elements as potassium ferrocyanide, malachite, lead chromate, phthalocyanine and many others. Blue includes copper, sodium, aluminium, carbonate, silicate. Violet is photoreactive and may consist of cabazole and dioxazine that turn into stable purple pigments. As for the white color, it has in its consistency titanium dioxide, zink oxide, barium sulfate and others. These colored inks can cause allergic reactions and lead to many deseases. So if you decided to make a tattoo on some part of you body, you should first find out as much information as possible about the harm of tattoos and pigments or inks you want to insert. Then you will know about all of the advantages and disadvantages of tattoos and make the right decision for you.